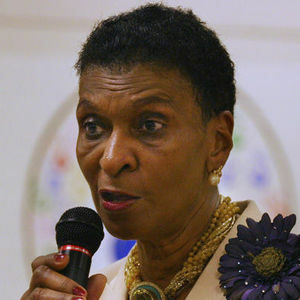 Marva Collins, the Chicago education pioneer who won praise for her innovative teaching approach at the West Side school she launched in 1975, died Wednesday of natural causes. She was 78. Her son Patrick Collins announced the death. He said she had been a patient in hospice care in Beaufort County, South Carolina. Add your thoughts, prayers or a condolence to Marva's guestbook. "What an Outstanding. Educator and. Visionary. She influenced my decision to be an educator 💕! She. Will be missed . God bless her family." "You were such an inspiration to me as an educator. Thank you!"